The quasi civilian administration of Burma, unveil a new technique when La Nan, the joint secretary of the KIO announced that “the KIO’s peace-building committee and the government peace-building committee agreed to meet in Ruili,” while at the same time the Burmese regime is launching an all out war of genocide against the ethnic Kachins, with airborne assault troops and chemical weapons and the fighting has reached the peak of human rights violations to the well known jade mining town of Hphakhant. The fact that the peace parley was held in the Chinese town of Ruili also indicates that the warring parties of Burma cannot even agree to talk inside Burma because of the treacherous history of the Burmese Tatmadaw, paints a gloomy picture. What more proof is wanted when the Tatmadaw launched a new offensive on the day that President Thein Sein ordered to stop the hostilities? This clearly proves that the Tatmadaw controlled by the National Defence Security Council (NDSC), is against the very grain of Pyidoungsu , the Union of the country and Democracy is the real power behind the throne. 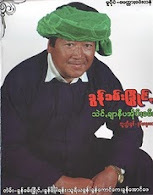 One can recollect that in the contemporary history of Burma several uprisings since the 70s was the people’s uprising from all works of life including the ethnic groups where they show their solidarity with the ethnic Myanmar. These clearly demonstrate that the ethnic nationalities are hands in glove with the ethnic Myanmar democracy groups. Demonstrations whether in 1988 or afterwards took place in the ethnic Myanmar dominated area as well as in all the seven ethnic nationalities states and divisions. The monks that were brutally suppressed in 2007 were not all Myanmar monks only. Many of them were non Myanmar such Arakanese, Karen, Mon, Shan and even Kachin. So it is clear that the democracy movement includes all the people of various ethnic backgrounds. After more than half a century of civil war the international community and the world had recognized that the ethnic nationalities’ struggle for their rights is as legitimate as the struggle for democracy. It means that while the ethnic nationalities are part of the democracy movement, they also have a unique and different role to play in rebuilding Burma. This is not understood by many people both inside and outside the country. In the name of unity, the pro democracy Myanmar groups want the ethnic nationalities to have exactly the same position as the rest of the democracy movement. This is not unity but uniformity and seems to echo the Tatmadaw’s motto of ‘One blood, one voice, one command’. One cannot build unity with such a slogan especially when 40% of your population is different. It is very different from unity in diversity. It must be remember that they regime uses Section 401 of the Criminal Procedure Code as the legal mechanism for those amnesties  under which the President the power to suspend a sentence, while these powers lie with the executive and not the judiciary . This also means that the former political prisoners are constantly under watch by Military Affairs Security, generally known as Military Intelligence and their informers and can be arrested anytime, which I am quite positive that once the sanctions is lifted most of the leaders will be arrested again. This also means that the regime can use the release political prisoners and those ethnic political prisoners who are still in custody as a bargaining chip with the West. Hence Sanctions must not be lifted even though it can be softened as Australia has done. In addition to sanctions, one needs to find a way to get Burma’s neighbours to commit themselves to help bring about change in Burma. The illogical Constructive Engagement Policy initiated by Mahathir Mohammad and Lee Kwan Yew has not worked and it was only now that Burma’s neighbours have awoken up to the fact that the military’s mismanagement is causing instability in the region. It is the duty of the pro democracy groups and the ethnic nationalities to convince the neighbouring countries that if they want stability and economic development, things have to change in Burma. Even though it will not be easy to convince China, Russia and India to help bring about change in using the language of democracy or human rights, than should try to convince them to support change now because of economic factors. There must be an end to social and political disunity and the threat to the integrity of the state. The various military Juntas always to remind the people that its primary purpose in taking and holding power stemmed from the "Three Causes": prevention of the disintegration of the Union, prevention of the disintegration of national unity, and perpetuation of sovereignty. The Tatmadaw leaders speak frequently of the threats to Burma posed by the rebellions of the Burma Communist Party (BCP), the ethnic nationalities, the invasion of foreign forces, the breakdown in law and order in 1988, and the interference in internal affairs by foreign governments. With the demise of the BCP, the end of the threat of foreign invasion, the reestablishment of law and order in the heartland, and the ceasefires with most of the ethnic nationalities, the military do not seem to have any excuses left. Moreover it has implemented rigged elections with an unfair constitution. There must be recognition of the rights and interests of the several ethnic nationalities and they must approve of the constitution before it can be implemented. But as of now there is none of them. Under the two previous constitutions, the rights and interests of several ethnic nationalities, especially the smaller ones, were not clearly stated and this led to misunderstanding, discontent and revolt. In the past, the larger ethnic nationalities spoke for the smaller ones living amongst them, but for many, this was unsatisfactory. To avoid a repetition of the past, the military endeavoured to win some ethnic groups to support by granting of nominal control of local administration in their areas and allowing them to preserve their cultures and traditions. The current Nargis Constitution must be disbanded once and for all because in practice it has none of the democratic and federal attributes and makes no mention of a federal union. Thein Sein administration has created a directed state in which elected representatives to ratify the policies, legislation and actions of the leaders. It seems to look to the Tatmadaw -led polity of Soeharto's Indonesia as one model. The illogical phrase that the Tatmadaw must be given a lion’s share, if not a permanent role in governing the future state of Burma is the most stumbling blocks because the Tatmadaw itself is in the Generals’ pockets. If it is the Tatmadaw's real objective to create a multiparty democratic system, it is hard to see what powers and responsibilities remain for the people to exercise. If the adopted principles for the Nargis Constitution constitution are compared with the structure of the government and the powers of the Burma Socialist Programme Party (BSPP) under the 1974 constitution, it is clear that the current administration intends to recreate the earlier model. Only, this time it replaced the party with the military and has given it all powers necessary to overcome popular opposition wherever and whenever it occurs. It is already more than six decades of struggles, the ethnic nationalities have been willing to sacrifice life and limb to achieve what they were promised in 1947. Long before the British arrived, the ethnic nationalities had lived peacefully under their own leaders, spoke their own languages, and developed and passed along their culture and traditions. Only in 1947 did the ethnic nationalities voluntarily accept the Burman/Myanmar invitation to join in forming an independent union. It was the promise of that union the ethnic nationalities sought to achieve and still desire. They stand ready today to form a union with the Myanmar/Burman provided that it is based on the principles they fought for and enunciated in the several Democratic Alliance of Burma constitutional proposals. They are ready to discuss their proposals alongside those offered from other quarters. They will accept refinement and further elaboration when they are discussed in a future constitutional assembly and will leave it to the elected representatives of the people to decide. The United Nations General Assembly in 1994 adopted a resolution that called for a ‘Tripartite Dialogue’ to solve the problem and build a sustainable democracy. This means a dialogue among the military, democracy advocates, and the ethnic nationalities. To be candid the UNGA resolutions over sixty years of armed conflict has not brought about the desired results. It is, therefore, crucial in their view that dialogue with the Tatmadaw is achieved. But the ethnic nationalities are well aware that a dialogue in itself will not bring about change. Many ethnic armies entered into ceasefires with the military starting from 1989 in order to find a political solution. But the Tatmadaw has not kept its promises up to this day as proven their all out war against the Kachins . To bring about the desired change, Daw Aung San Suu Kyi and the ethnic forces will have to skilfully use the economic and social concerns of the people. They will also need the full and coordinated support of the international community. The international community should fully support the United Nations and there should be no parallel processes to the UN effort. The UN Security Council should fully support the UN efforts and a consensus must be reached between US, Russia and China. There must be a multi-party talk along the lines of the Six Party Talks for North Korea but must include UN, India, China, Japan, EU, US, ASEAN, Russia (to ensure that it does not become a spoiler) and Burma is needed. We should note that ‘Friends of Burma’ or ‘Core Group’ to advise the UN representative and is not good enough as it excludes the current Burmese administration. Being extremely paranoid, they will see it as a conspiracy against them. They need to be included and also held accountable in an international forum. Today, the basic problem is the same as the founding fathers of the nation faced about three quarter centuries ago: how to construct a political system wherein diverse peoples feel free and equal, able to govern themselves in their own areas, protect and preserve their languages, cultures and traditions, while at the same time give their political loyalty to the nation state. The end game for the moment is that the regime will fight and talk simultaneously and will continue to release slowly the remaining ethnic political prisoners but once the Western Sanctions is lifted they will go back to their true colour again. Article (3) gives power to cancel that suspension and order re-arrest of a person at any time without a warrant, requiring that he or she must serve the remainder of the original sentence. These powers lie with the executive and not the judiciary.